There is no doubt that BEREC’s performance to date has been generally satisfactory. It has so far fulfilled its functions in a commendable manner, most notably with regards to Article 7/7a procedures, in addition to its contributions to the dialogue on international roaming and net neutrality. It has federated the NRAs in a way that its predecessor failed to: it has compelled them to be more accountable to themselves and to consumers. It has enabled further harmonization and strengthened interactions between the Member States and the EU institutions. It can be said that BEREC’s uniqueness is based on two elements: On the one hand, it is a body uniting highly skilled professionals who perform their tasks independently from any public or private entity. On the other hand, BEREC comprises representatives of different Member States and allows for regular exchange and deliberation between them cascading the results of these processes to the European level. BEREC’s independence, while imperfect, has proven to be a laudable feature of the organization. Its legal foundation (the Framework Directive) provides measures to ensure separation of powers and prevent unnecessary political or private sector capture. The mixed funding model in place serves to curtail any attempts by the providers of the body’s financing to obstruct the effectiveness of its activities in delivering trans-national or pan-European services. However, this is not to say that the independence of BEREC concerning the individual NRAs doesn’t require improvements, especially towards the goal of fashioning an overarching European groupthink that overrides the national interests of the constituent NRAs. The current organizational structure from the technical to the decision-making level provides balance between stability and flexibility. It also leaves room for the negotiations to take place at different levels considering all views in an efficient manner. The EWGs have improved their performance and work in a more professional manner. In the last years, the quality of the reports has been enhanced at the same time that the deadlines are met in the practical totality of the cases. However, rules or guidelines for the EWG work may also be useful for the better functioning of BEREC. BEREC’s lack of decision-making/enforcement powers can be a double-edged sword. On the one hand, it manifests as a weakness in cases where NRAs choose to reject opinions from BEREC, and pursue undertakings that run counter to the strengthening of the single market. On the other hand, it can serve as a balancing influence as it pertains to the regulatory powers of the Commission and the national regulators. Fortunately, BEREC has had a more balanced record whereby it has taken on several opinions that support the draft decisions of NRAs, and both the Commission and the national regulators have largely agreed with the opinions of BEREC in instances where there was divergence. Clarity around its accountability continues to be a challenge for BEREC. The body was formed to provide expert opinions on relevant topics, define priorities and advise the EU institutions regarding the harmonization of the single market. It is of critical importance that BEREC demonstrate greater accountability for its own objectives. This can be achieved by documenting its commitments or tactical goals for each coming year, and then through reporting on its achievements to EU institutions at the close of the year. Models of regulatory governance vary in the level of discretion granted to regulators. This determines the level of transparency required to reassure stakeholders and build legitimacy around regulatory decisions. European citizens and residents have very strong beliefs about the right to access information related to their political and legal institutions. Additionally, the Commission has been vigorously promoting open data and generating value through the re-use of a specific type of data – public sector information. Simply put, BEREC needs to demonstrate their commitment to openness and transparency to build greater trust and legitimacy among its stakeholders. There isn’t much more to it. The ultimate success of the EU single market depends on the existence of a body that can effectively influence outcomes in national markets and begin to erode the pervasive ‘national’ market approach of Member States. The failure of the ERG is one of the main reasons why the European e-communications market remained a patchwork quilt of national markets for some time. BEREC has many of the elements to become a successful force in coordinating national approaches and bringing consistency through decentralized regulation. However, it could also become a major obstacle in harmonization policy of the Commission by becoming a center for European regulation that protects and lobbies national interests. The verdict is still out on which way the pendulum will swing. 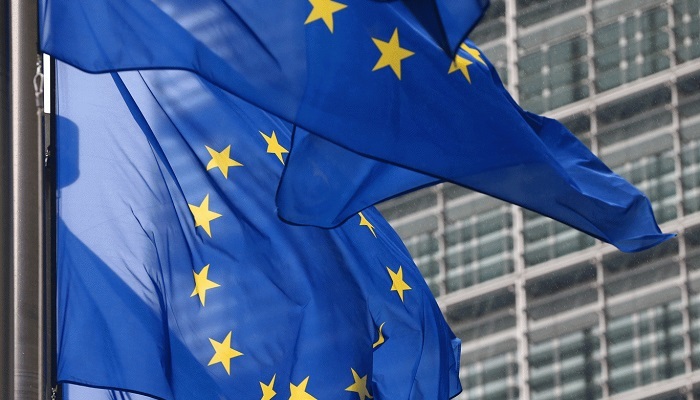 ← Multilateralism vs Multistakeholderism – Is it One or the Other?